Catherine Bleish, MPA (@TheBitMom) runs TheBitMom.com blog and podcast. She also hosts an online bitcoin consignment shop at ConsignBit.com. You can follow her journey toward a more voluntary and natural life through the SovereignLiving.com blog or the SovereignLiving.tv reality show. She speaks at events across the country about natural living, alternative currencies, and raising sovereign children. Her current passion is to introduce the unschooling community to the cryptocurrency world and the cryptocurrency community to the virtues of unschooling. She received her Master's Degree in Public Affairs with an emphasis on Nonprofit Management in 2011. 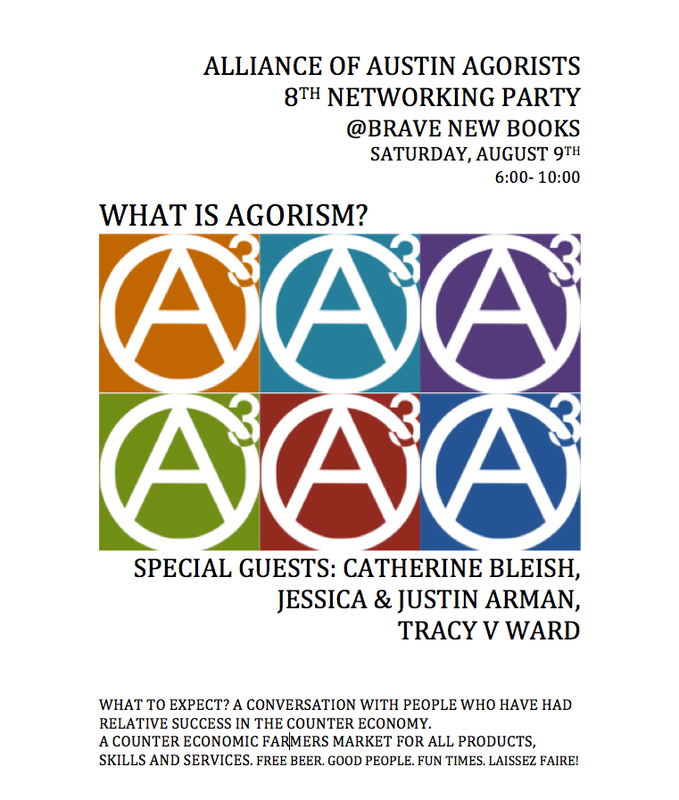 Join the Alliance of Austin Agorists this Saturday August 9th from 6 to 10pm at Brave New Books in Austin, Texas for their 8th networking party and counter-economic farmers market. They will host four Central Texas residents who have found success with enterprising agorist ventures. Speakers include Catherine Bleish (thebitmom.com, sovereignliving.com), Justin and Jessica Arman (mymagicmud.com, thelibertybeat.com), and Tracy Ward (facebook.com/paleotillas). 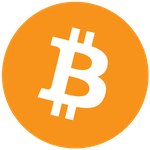 Come ready to spend bitcoin, silver, FRNs, or barter at the market. Agorism is a concept coined by Samuel Edward Konkin III and is a social philosophy that advocates for peaceful revolution through voluntary interactions such as counter-economics. It has also been called revolutionary market anarchism. This is why Bitcoin so perfectly intersects with agorism. It is post-parliamentary direct action and a voluntary exchange that is free of government coercion and manipulation. The Alliance of Austin Agorists is a grassroots organization of left libertarians, market anarchists, anarcho-capitalists, voluntaryists, individualist anarchists, mutualists, etc. who are interested in growing the counter economy, community organization, and making like-minded friends. Joel Williamson is a people person and a radical who wears his passions on his sleeve. He started the Alliance because he believes that freedom lovers should not only think and preach ideas surrounding liberation, but also live them. Joel’s fight is against couch potato libertarianism and even worse, the idea that we should focus our time money and energy on implementing a libertarian world through parliamentary politics. He believes in agorism because it is consistent, eclectic, and most importantly, practical. He holds fast to the agorist idea that real change occurs when we realize the things we can control, ourselves. Instead of putting our trust in politicians, he advocates that people be the change they wish to see in the world, for profit, for goodwill, and for fun. The Alliance of Austin Agorists is his attempt at putting his money where his mouth is. The sky is the limit, and for him this means helping implement universal anarchy. Joel has done great work supporting Ross Ulbricht, alleged founder of the Silk Road. He has been an integral part of the Free Ross campaign, selling t-shirt to raise money for Ross’s defense and working closely with Lyn Ulbricht, Ross’s mother. Brave New Books is located at 1904 Guadalupe Street Austin, Texas. They accept Bitcoin and have a Bitcoin ATM for your convenience.